The opening ceremony of the European Individual Chess Championship was held at the State Academic Opera and Ballet Theatre of Yerevan. The official website offers photos from the ceremony. Three presidents set side by side: Serzh Sargsyan (president of Armenia), Kirsan Ilyumzhinov (president of FIDE) and Silvio Danailov (president of ECU). The guests were shown the movie about Tigran Petrosian. The championship is dedicated to his memory. Our special correspondent in Stavanger Dmitry Ostanin sent us some photos from the tournament. More photos from our correspondent Dmitry Ostanin from Stavanger. Shamkir ready to hold two competitions dedicated to Vugar Gashimov's memory. 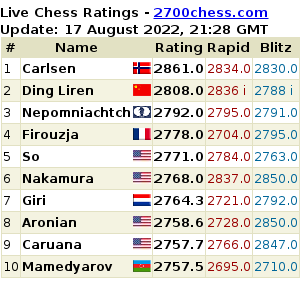 The participants of the A group are Carlsen, Caruana, Nakamura, Karjakin, Mamedyarov and Radjabov. Participants of B group are Wang Hao, Woijtaszek, Bacrot, Motylev, Eljanov, Mamedov, Safarli, Guseinov, Durarbeyli and Abbasov. Today the players visited the graves of Vugar Gashimov and Heydar Aliyev (the national leader of Azerbaijan). The European Chess Union made a decision of holding the European Individual Championship 2014 in Erevan, Armenia. 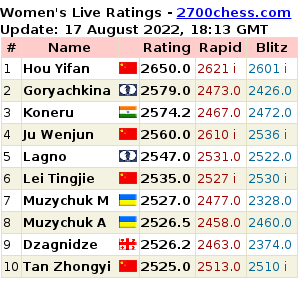 This has been reported by the website armchess.am. The competition is planned to be dedicated to the memory of the 9th World Champion Tigran Petrosian on the anniversary of his 85th birthday in 2014. Our correspondent Marie Boyard visited Zug and concluded that the venue of third stage of the FIDE Grand Prix is almost ideal.